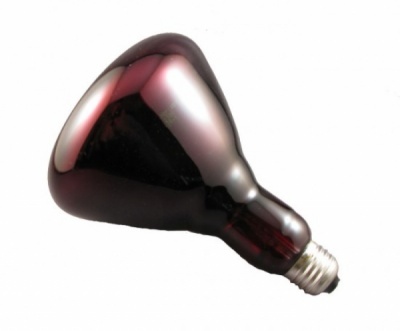 This ruby red lightbulb works with our Infra Red Heat Lamp. It has a standard screw-in base and is made in Europe. It is of high quality, with excellent heat transfer and a long life expectancy. This bulb is ideal for chicks, kittens, puppies or any small animal needing extra heat.